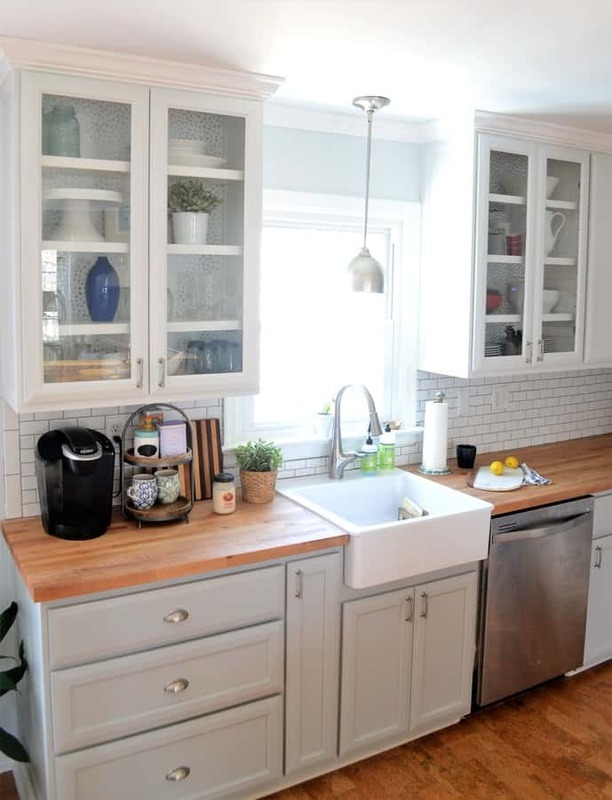 Wallpaper your kitchen cabinets to add color and style to your kitchen! 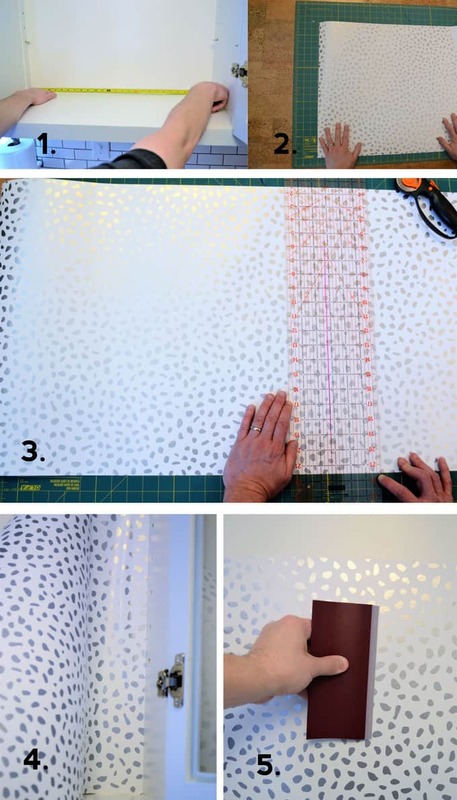 Removable wallpaper is an easy and quick design solution. 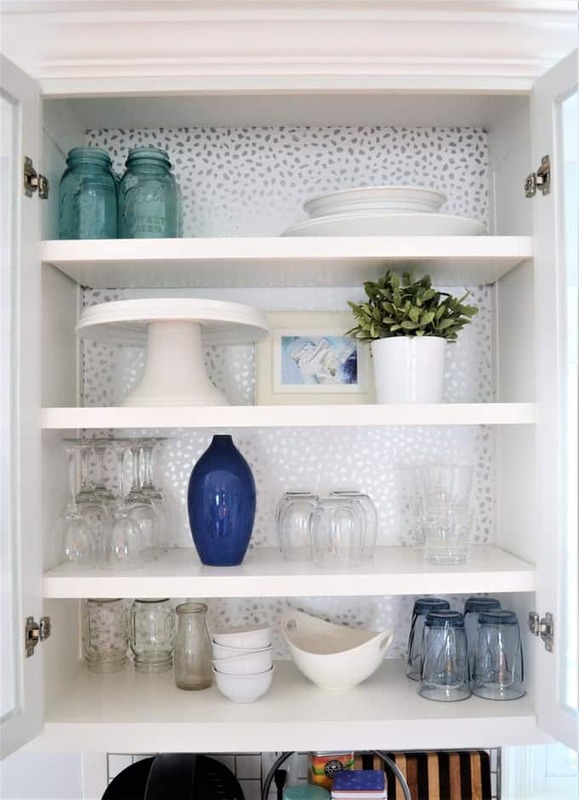 I chose a silver and white metallic dot wallpaper, come see how easy it is to give your kitchen a whole new look. I just love small DIY projects that add a BIG impact to my home. 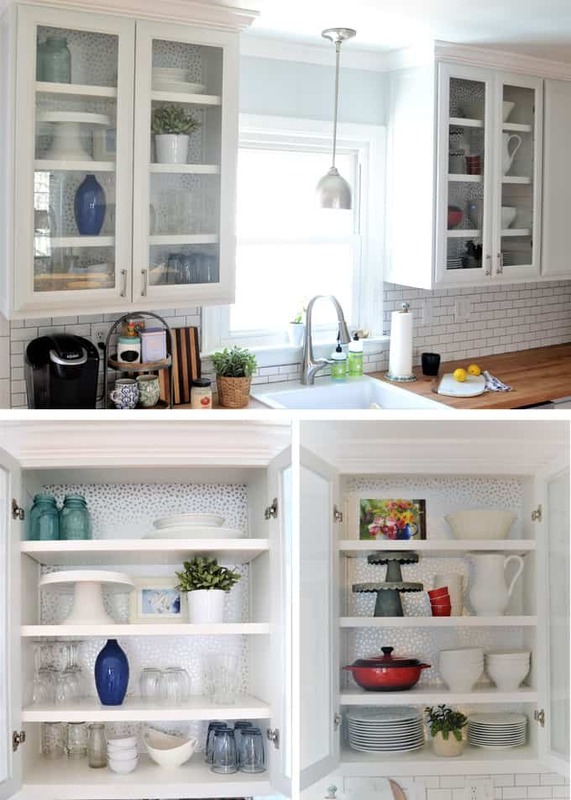 Wanting to add a bit of visual interest and subtle color to my glass-front kitchen cabinets, I decided to go the removable wallpaper route with Devine Color by Valspar Peel & Stick Wallpaper! This is a new collaboration between Devine Color + Target and I love the selection of colors and patterns there are to choose from. 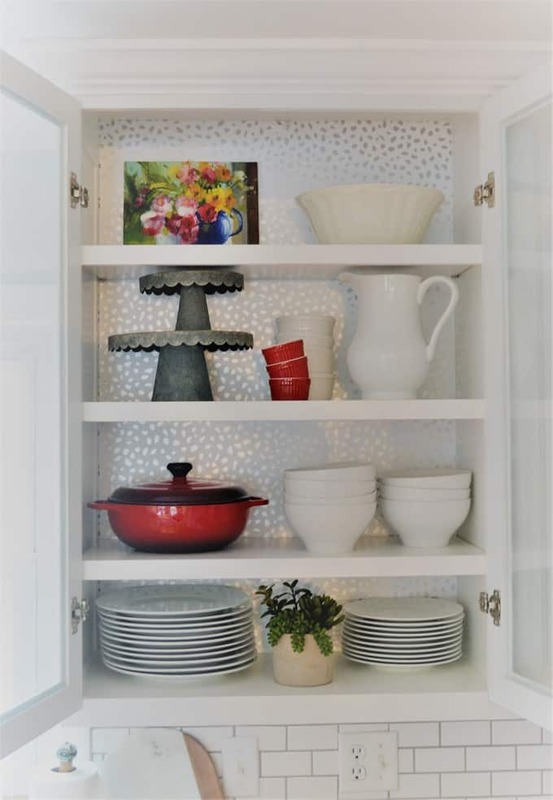 I was inspired by some of my favorite Target decor and serving pieces, as well as the white and gray palette of my kitchen, to choose the Speckled Dot Wallpaper in Sterling. Keep reading for some amazing before and after photos!!! The directions included with the wallpaper were incredibly easy to follow. 4) Smoothed the wallpaper out with a straight edge. The best advice I can give you is this: definitely have two people for this task. It goes much more smoothly and easily with a friend by your side! Here are a few more “after” photos. The difference is subtle, but definitely high-impact! One of my favorite things about Devine Color products is that there are options for all budgets, from wallpaper to spray paint to metallic dust. Best of all, though, they coordinate easily with Target decor items and products! Of course, my favorite part of the project was styling my “new” cabinets with some of my favorite Target items. 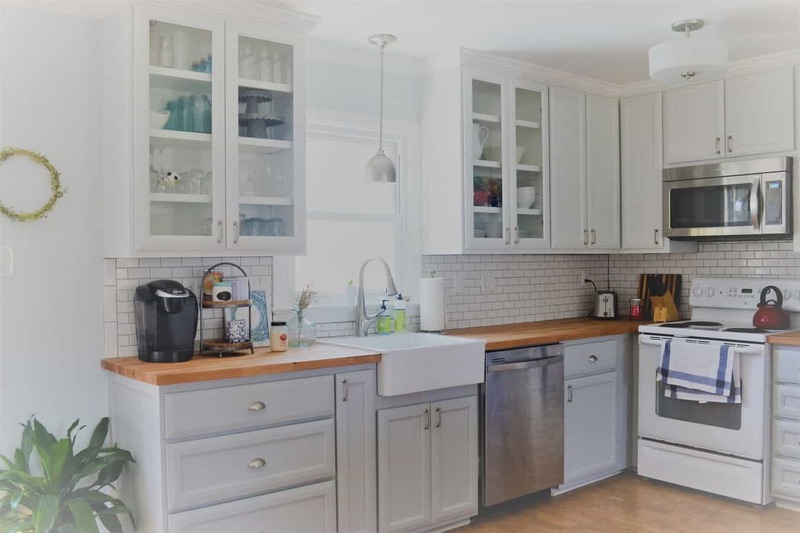 If you’re a Target shopper like I am, you’ll definitely recognize some Target products, like the cake stand and indigo vase from the left cabinet, and the dutch oven and succulent plant in the right cabinet. 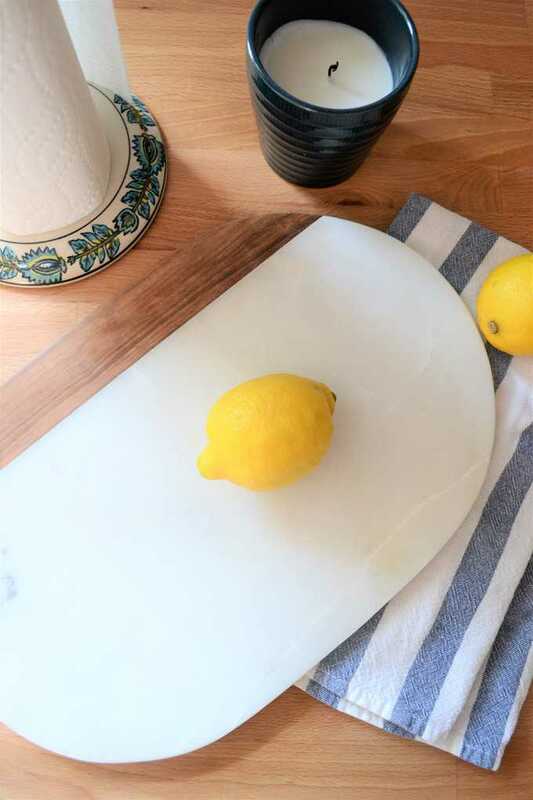 I also love, love, love this marble and wood cutting board (and candle!) It’s perfect for both for entertaining and everyday use. I am so happy with how this turned out. I especially love that I was able to complete this small project in about an hour, yet it made such a huge aesthetic change in the room I spend the MOST time in (like a lot of you, I’m sure)! Looking for more kitchen inspiration? We’re here to help! 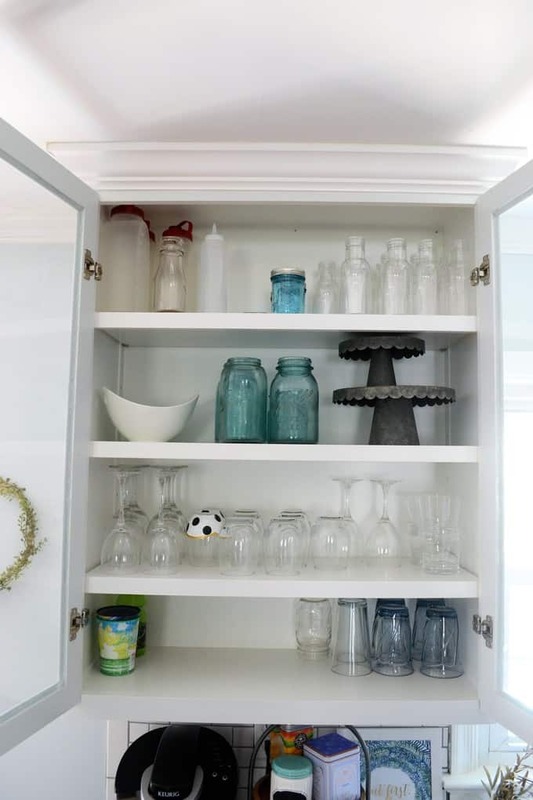 Here are 10 easy ways to decorate above kitchen cabinets! 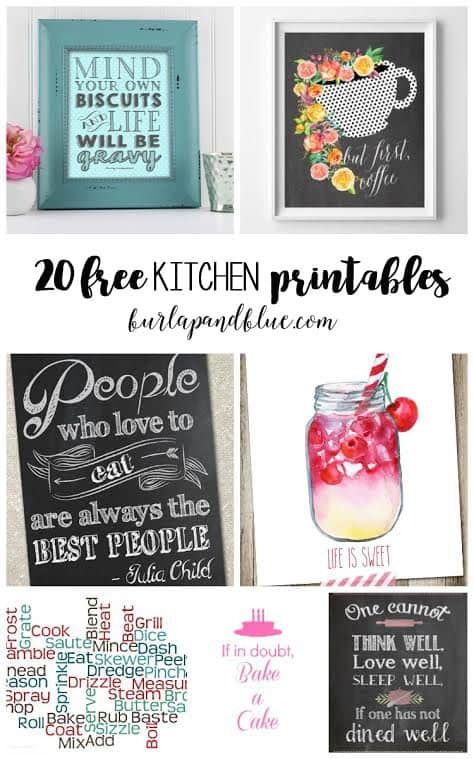 If you’re in need of wall decor ideas, here are some free kitchen printables! Be sure to follow Devine Color on Instagram for lots more color inspiration. 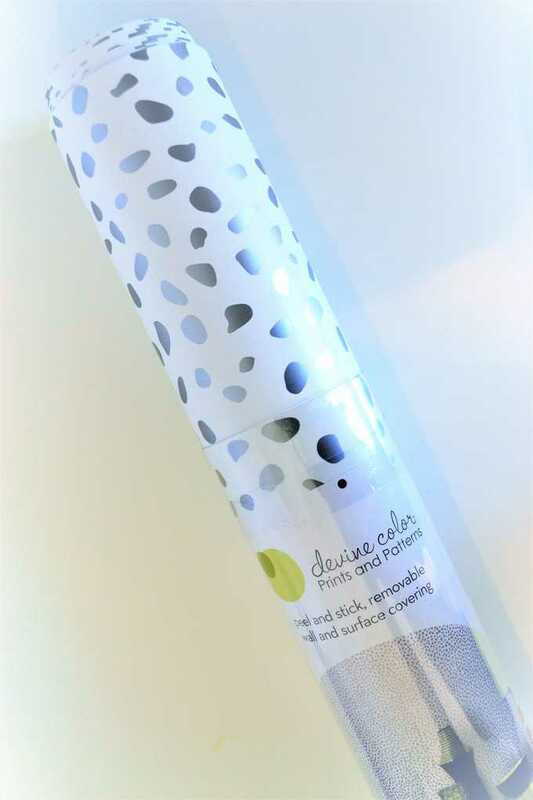 Thanks for reading all about Removable Wallpaper with Devine Color! Have a crafty day! WOW!! I love this and that it’s peel and stick! 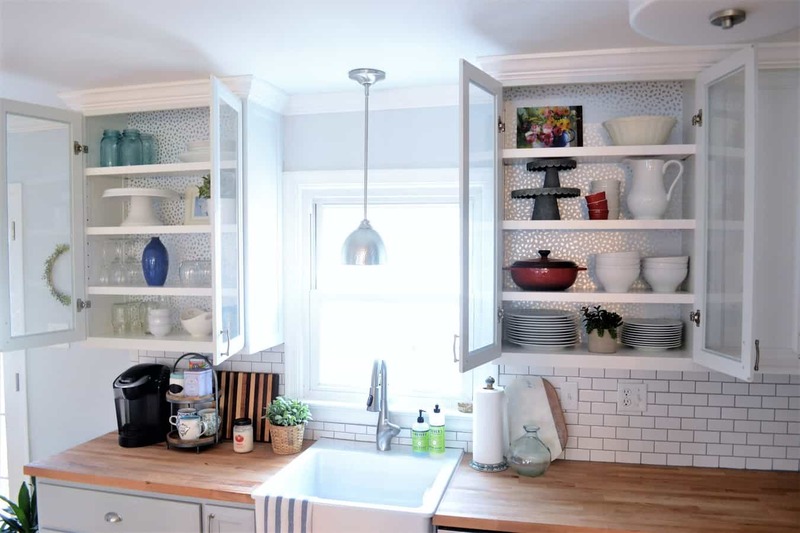 Such a gorgeous shimmery effect and pop of pattern – great way to update those cabinets! Gorgeous! 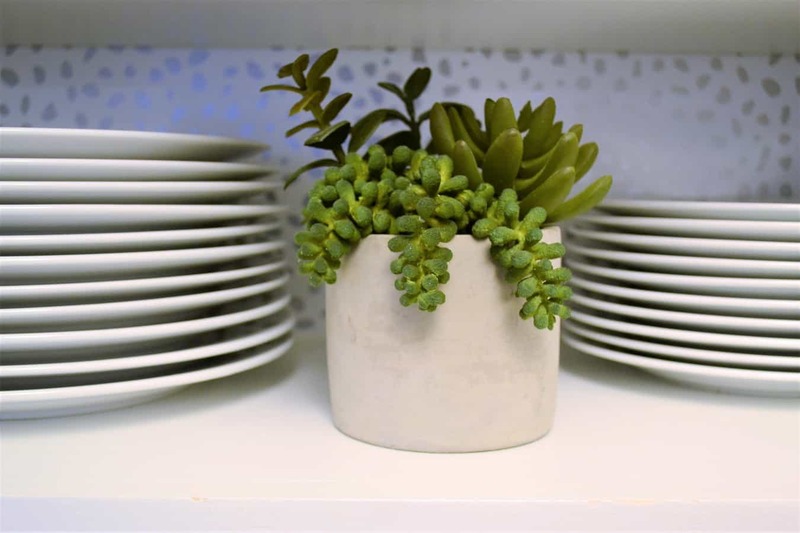 It’s subtle but really adds some personality to your kitchen! I love quick projects like this. Very nice & so fresh & high end look!! Never knew there was peel & stick wallpaper!!! You never mentioned cost….is it reasonably priced?